The short nature of internships and the level of commitment required allows them to provide an opportunity to explore, unlike full-time jobs. This sense of wanting to branch out and explore something new is what I sought in my internship this summer. So, for my real estate internship, I decided to not work for a real estate company. Instead, I spent the summer working for SAS, a multinational tech company and one of the world’s leaders in the development of data analytics software, albeit in its corporate real estate department. The idea of working in corporate real estate is one of those experiences unique to the exposures provided by the Baker Program. Prior to coming to Cornell, I had never even heard of corporate real estate, let alone considered it a viable career option. But on our trek to Seattle last year, we had the opportunity to sit down with Microsoft’s corporate real estate division, which made quite an impression on me and led me to apply to this position. Another serendipitous event regarding me pursuing this opportunity is the fact that when the company called me for an interview, it was the same day that Doug Gottschalk from Ernst and Young was giving his DSS talk on his experience as EY’s U.S. Head of Corporate Real Estate. Another aspect of why I chose this internship is because I wanted the opportunity to enjoy myself over the summer and be a part of a great work environment. Often internships can be unstructured and sometimes you can get stuck behind a computer all day crunching numbers. Being from North Carolina, I have long been aware of SAS’s reputation as a great place to work, as it is often ranked as one of the best places to work in the world. The idea of spending the summer in a great environment and working with great people really appealed to me. Working for SAS’s corporate real estate was a great experience all around. It provided me some great insights into the world of corporate real estate, an area of real estate that is becoming ever more important as we see the consolidation of large corporations with holdings in multiple locations across the country and the world. SAS is a great example of the real estate footprint that a major corporation, whose core business isn’t real estate, has. The company has more than 14,000 employees, 22 regional offices across the US and operates in nearly 60 countries across the globe on six continents. 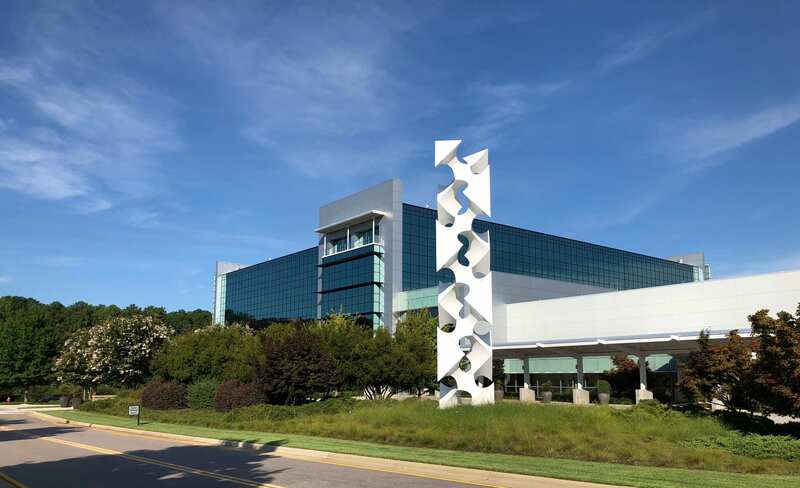 Its real estate holdings around its Cary, NC campus include more than 25 buildings sprawled across the430-acre campus, which accounts for more than two million square feet of occupiable space. The campus also includes a solar farm (home to several pygmy sheep that maintain the grass), three daycares, onsite healthcare facilities, and recreational fields. In addition to this, the company also oversees hundreds of additional acres of developed and undeveloped land, which consist of the Cary Academy (a K-12 private school started by Dr. James Goodnight), the Umstead Hotel (a five-star hotel), and many acres of undeveloped lush meadows the wind through the campus. Working for a company with such vast resources, you get to see the synergies that can be created when multiple groups work interactively. SAS’s corporate real estate division is a great group of about 20 employees who work together in design, construction, ergonomics and space and property management. The group oversees all of the construction, renovation, and property management at its main campus and its various satellite locations in order to accommodate the company’s short- and long-term business needs for space. The group also works interactively with other departments within the company such as facilities, landscaping and arts and scenic (it has it sown onsite art department), as well as with all of the internal stakeholders across the company. 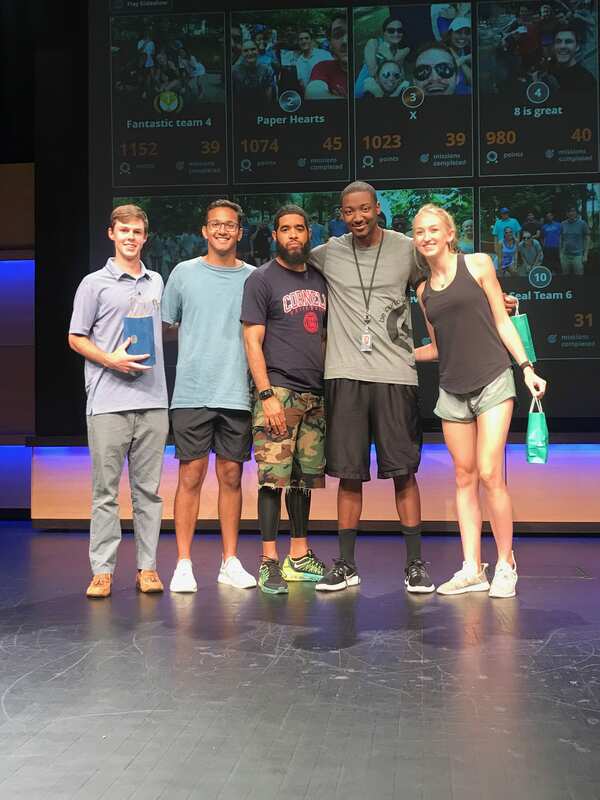 SAS’s internship program seeks to promote autonomy amongst the nearly 200 interns it brings in during the summer by giving them control over a specific project. For me, I was given charge of the company’s Building S renovation. The project was an interior renovation of a 170,000 square foot office building, of which 65,000 square feet of common area space (atriums, patios, breakroom, and bathrooms) would be updated to increase worker productivity and experience. By overseeing the project, I was responsible for supervising the contractors and communicating with the end users who still occupied the building during the construction. In addition to the Building S renovation, I also had the opportunity to work on several other projects, which allowed me to work with all the various teams within the corporate real estate division. I had a fantastic time during my internship this summer and I count myself fortunate to have had the opportunity to work in such a great environment. I accomplished both of my goals for the summer, gaining insight into corporate real estate and being a part of a great corporate culture. All of the people that I met over the summer were wonderful. And I can’t forget to mention that my team beat out all the other interns and took home the 1stPlace prize at the annual Go Game Intern Day.